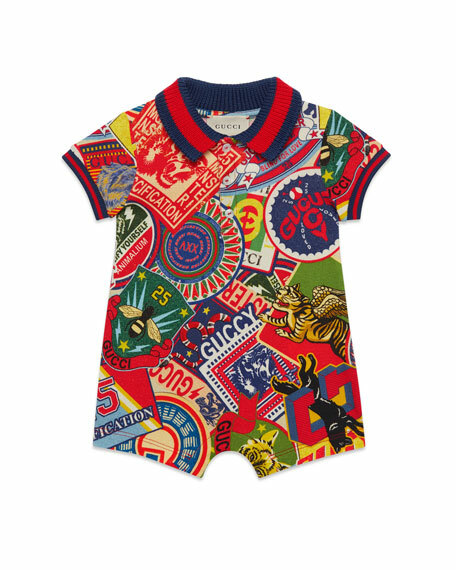 Gucci shortall in allover logo stickers print. Blue/red/blue Web knit trim at collar and cuffs. 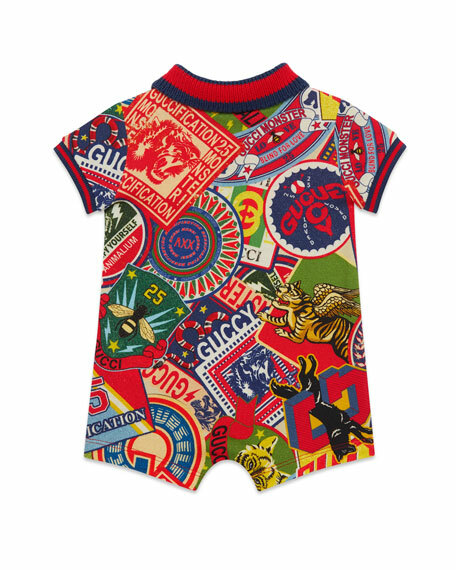 For in-store inquiries, use sku #2638595.